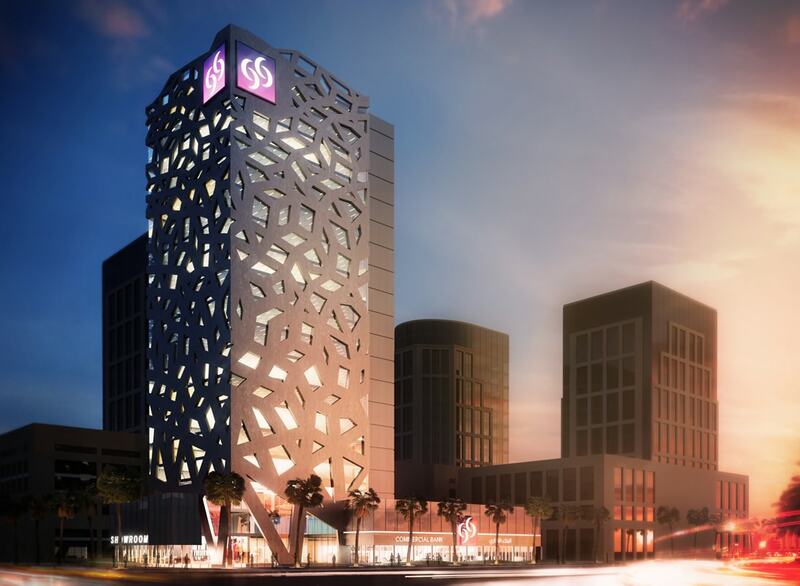 A contemporary mixed use commercial development in Qatar. This landmark contemporary tower forms part of the masterplan for a new district north of Doha, Qatar. LOM have worked with the client to develop a building concept incorporating retail and office space, and adopting a striking punched and faceted facade design. We are currently working with the client to develop a full design for the site as part of the wider development of this new urban quarter.